Two months to the day since my last outdoor swim, I took the plunge after work and visited Wycombe Rye Lido, which I’d only heard about the previous week thanks to the power of social media. It cost £6.50 to get in and another 50p to park for two hours, but the lady on reception was kind enough to tell me that I could actually pay inside the building and didn’t need to venture back outside the stick the ticket in the car. The changing rooms were mixed and fairly basic, but reassuringly hark back to the 1930s with high doors and a simple layout. I went outside and was utterly bowled over by the pool. 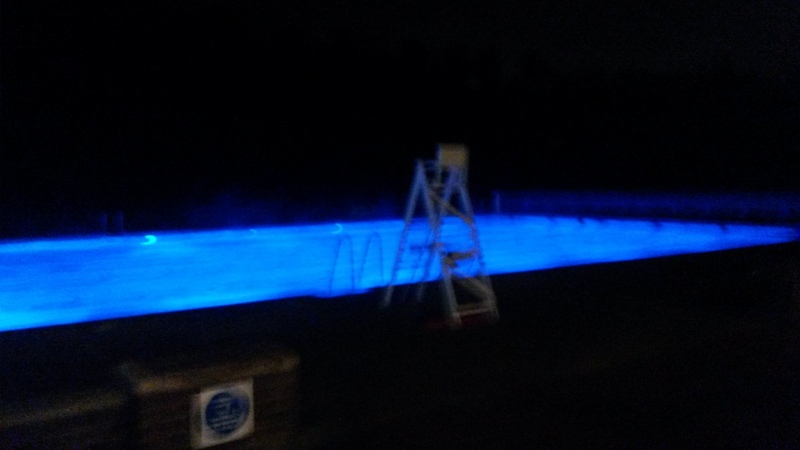 Thanks to fancy blue lighting, it looked awesome – like the kind of Instagram picture you might see of a high-end luxury hotel or the pool James Bond swims a length in before heading off to kill someone in Shanghai. There was a head of steam coming off the bright blue water and just three other people in the pool. When swimming back down the pool, you’re treated to a view of people pacing the treadmill or taking in a kickboxing class, so it’s very motivating. I am not sure what the reverse view for the people doing the hard work is like though. Although it is heated, it’s not stuffily hot, the temperature is patchy so it’s warm, cold, warm cold, warm, cold. But I like that -it makes you feel alive without freezing you. 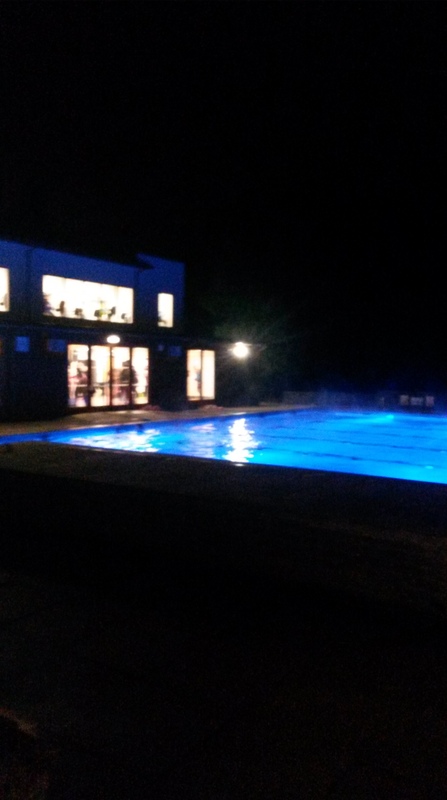 I swam a mile in the 33 yard pool, which I calcuated to be about 54 lengths; in that time the other three people got out and there was a change of lifeguard who cheerfully rebutted my apologies for making him stand outside in the cold for me on my lonesome. Two other people did get in finally, making me feel better, but then it was time to get out – however, since there aren’t many other pools that are open at this time of year or that give off such a beautiful blue vibe, I imagine I’ll be back soon.